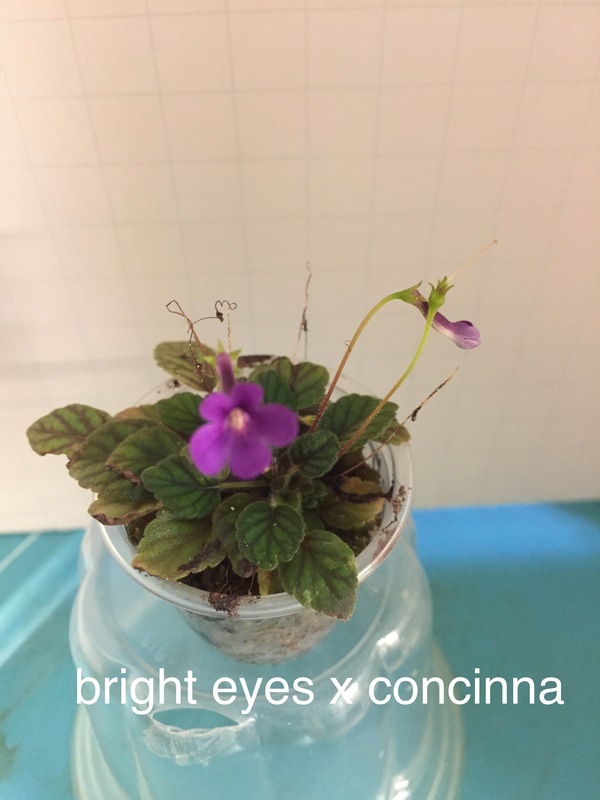 Sinningia ‘Precious, 2017, IR171354, Bonnie Formella, Illiniois (Sinningia ‘Bright Eyes’ × S. concinna). Cross made summer 2014, first flowered 2014. True from seed. Spreading growth. Leaves, 0.5″ long × 0.5″ wide with 0.5″ petiole, ovate with crenate margin and acute tip. Calyx split, green, 0.2″. Pedicel 0.8″ with one flower per axil. Corolla salverform, 0.5″ long × 0.75″ wide, purple. The color of the bloom is much darker than any other very small Sinningia.